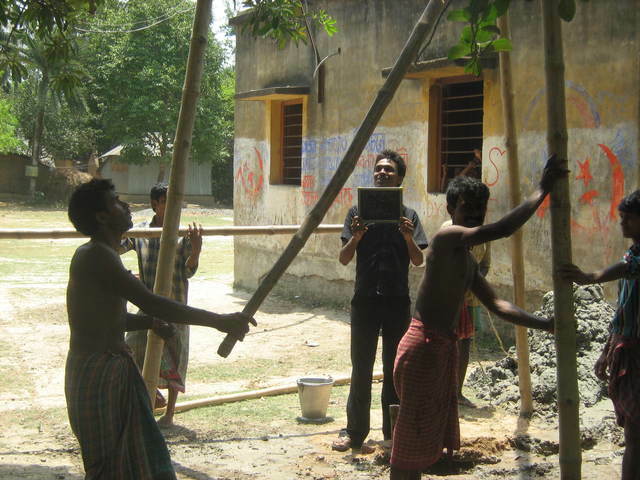 This site #PW150DMR2, is inside the premises of the Dumuria Primary School of Chakdah block of Nadia district. The contact person is Monindro Nath. Less water is coming out, the fiter is jammed . sligst sand is coming out.but well is us by 28 families and2 school 206 people drinking and cookimmg. 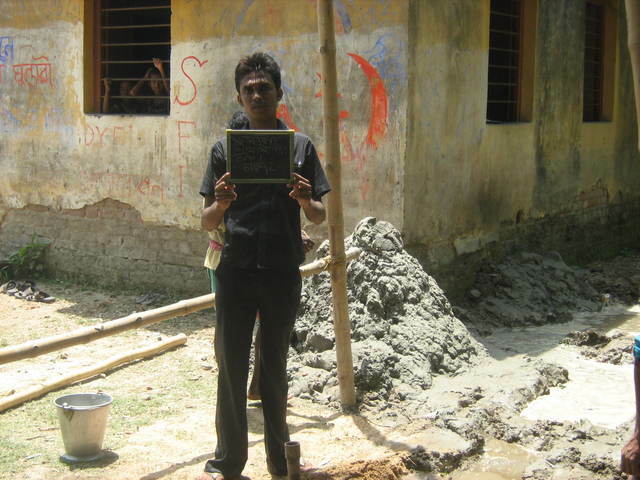 repairing of checkvalve .this well is used by 28 families and school 194 people drinking and cooking. repairing of checkvalve plunger set good water school 62 people and 28 families drinking and cooking. health meeting is ok. people 41 m-2 f-4 chi-35. Dumuriya poscim para prothomik vidhaloya. projector programme has been finished.M-3,F-10, Ch-53. According to the register record of July 2011 the total consumers=74; Families=15; Male=39, Female=35, children <5 = 4 and students =30. 16 families are using this source now. Register is yet to be created. Update Sept 2010: 8 families are using water from this source for drinking & cooking purposes. Registers are being created and will be available soon.